100% cotton white or black dress gloves hemmed at the wrist, with silk stitching on the back for appearance. These gloves are made of thicker fabric for greater durability. 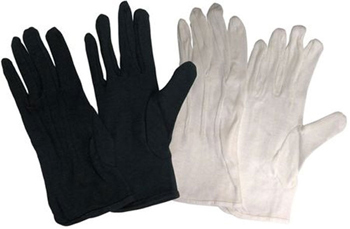 Choose from multiple sizes of black or white gloves.